Now Reading: Make your own natural shampoo! Homemade and DIY is the new cool. You don’t have to be a total hipster to know that making your own beauty products is a hot trend. Starting to understand that the harsh chemicals (sulphates, parabens, surfactants) in shampoos dry out your scalp has got people reaching out for more natural ingredients. 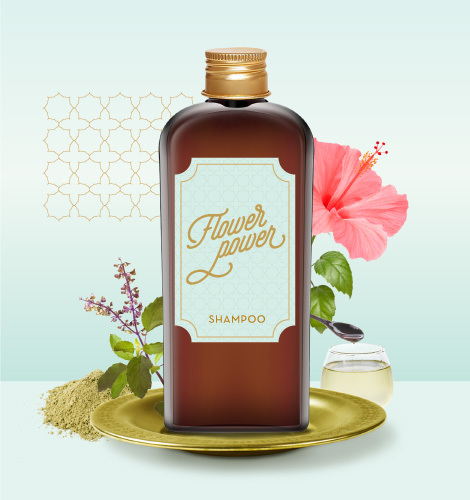 If you’ve ever looked at the list of daunting ingredients behind your shampoo bottle and wondered about its effect on your scalp, then you’ve come to the right place! 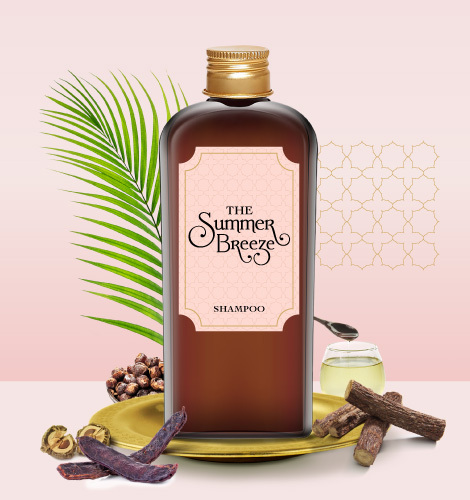 A cooling Ayurveda cocktail that adds shine to your hair. Particularly good for oily scalps and Pitta or Kapha doshas. (Read about your doshas here.) 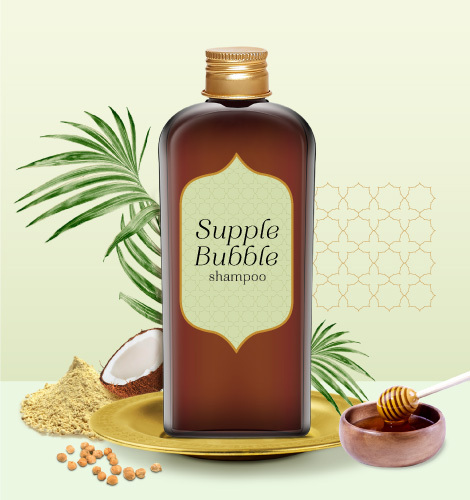 Being sulfate-free means it won’t lather like your store-bought shampoo, but will make up for it in its long-lasting goodness. Make sure all your ingredients are dried out or powdered. Add the coconut oil and mix together. Boil the mixture in water – the ratio to keep in mind is, one part of powder with sixteen parts of water. (Alternatively, one spoon of powder for one glass of water.) Leave it to simmer and allow the mixture to reduce by half. The longer you let it simmer the more concentrated the rinse will become. Strain the resulting mixture and store in a glass container. Apply to wet hair. Massage gently and rinse. Green gram is a popular kitchen ingredient for skin and hair because it of it’s antioxidant properties- it helps reverse hair loss and delay signs of ageing. 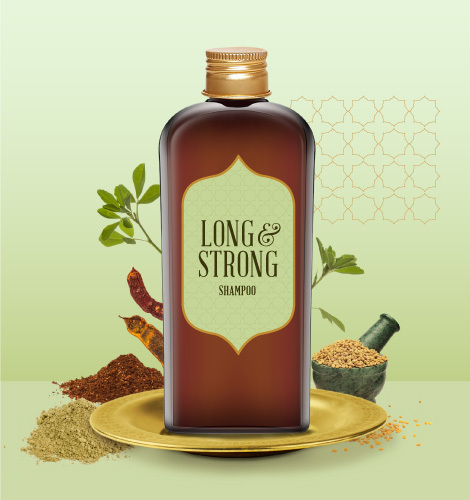 Mix this with shikakai, our go-to natural cleanser, and you have a shampoo that will help you achieve thick, strong hair. Mix all the powders and store in an air-tight container to make a batch. When required, mix with 1 egg white and wash your hair with this mixture. Since this mixture could make your hair a little coarse after your shower, we recommend you oil your hair for half an hour before your wash. Combine the benefits of green gram with another powerful hair ingredient, Hibiscus, and you’ve got yourself a potent mixture that arrests hairfall, premature greying and dryness. 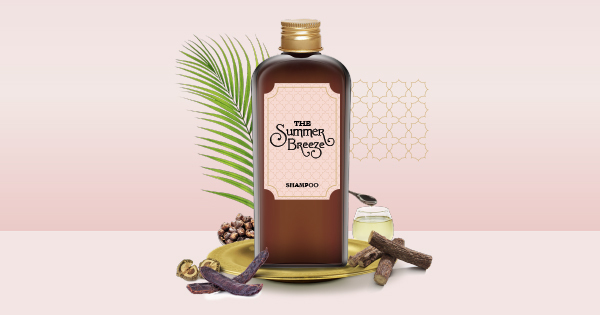 Use this shampoo regularly and in 2 weeks you’ll notice thicker, blacker hair that shines from natural goodness! Crush the leaves in water and boil. Add the green gram flour to this. After boiling, strain the liquid. If the consistency of the paste is too thick, add water until its fluid. Apply to wet hair, leave on for 5 minutes and rinse thoroughly. Besan will leave your hair smooth and soft. Add coconut oil for conditioning and honey for untangling those knots, and you’ll have gorgeous hair at the end of a few washes. Mix the besan and water together to form a paste. Add the coconut oil and mix further. Top off with honey and blend well. Apply and rinse thoroughly with lukewarm water. This natural hair care trend of the year is definitely something you should try, so you can reap the benefits for years to come! To go fully natural and chemical-free, here are some natural hair packs you can use before your shower. Your morning routine may need some fine tuning.